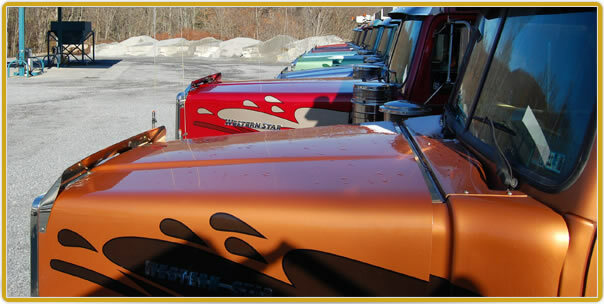 Johnstown, PA Bulk Transportation Services —"Sleek Trucking"
We are a company dedicated to our customers and the community in which they live. Moving products safely and efficiently is a priority at Sleek Trucking. Homer Roy Sleek founded the company in 1937 when he recognized the opportunity to join in the construction of the Pennsylvania Turnpike. At that time, he traded the family vehicle for a dump truck and Sleek Trucking was conceived. Homer's son, Earl (Buck), became President in 1971 and managed operations until 1990 when the third generation of Sleeks', Earl II (Buck, also), took the presidential chair and remains there today. H.R. Sleek & Sons, Inc.